The market takes place at New Ferry Village Hall, Grove Street, New Ferry, CH62 5AX, there is plenty of free parking in the car park or on the street. 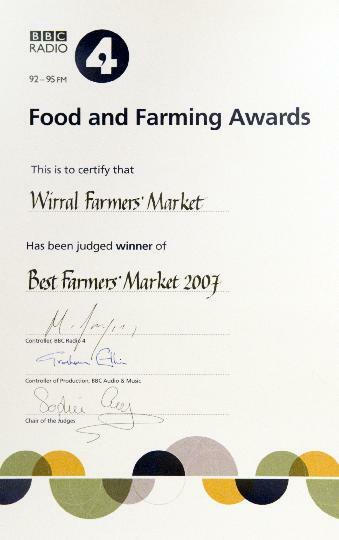 Visit the biggest Farmers' Market around - Wirral Farmers' Market was established in 2000 and is held every second Saturday in New Ferry from 9.00am to 1.00pm. With over 30 stalls you can buy all your fresh produce and many people buy meat, fish and meals for the freezer. The market is run completely by volunteers for the benefit of the community and to help the regeneration of the area. Since its beginning, it has donated more than £32,000 to the community around New Ferry, through grants and financial support.